Australianbiz is pleased to have an association with Small Business Insurance Brokers who offer competitive quotes and expert advice on Commercial insurance across all types and size of businesses. Submit the contact form below and Craig Anderson will contact you. 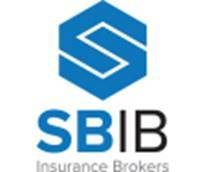 Small Business Insurance Brokers specialise in providing insurance solutions for small business owners, operators and tradesmen, through to start-up companies and other similar ventures. They deal in unexpected event, and our experienced staff is determined to find you the most comprehensive insurance necessary to protect your businesses from unexpected event.